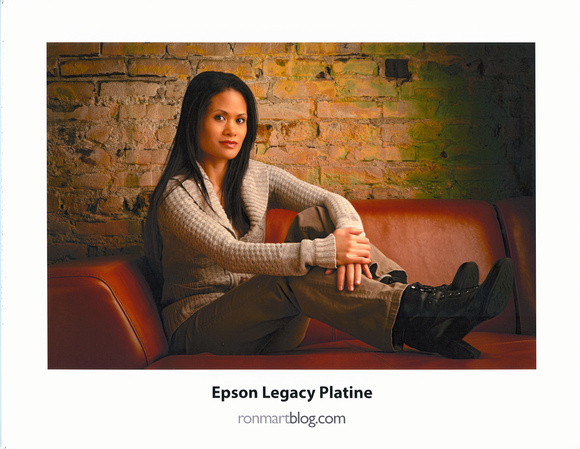 Check out the Print Your Legacy landing page with videos here to see what some well respected photographers think of this and all of the Legacy papers. For more on my thoughts, continue reading. If you aren’t a geek you might want to skip this section. This paper is rigid enough not to flex when you hold the edge, but it is less thick and rigid as Exhibition Fiber (EFP) yet thicker than Luster. The texture is closer to Luster, but a lot less busy. It does have more visible light gathering texture than EFP, but that has the advantage in that I didn’t see the scuffing issues that seem so prevalent with EFP. The colors are simply jaw dropping, and better than any paper I’ve seen before it. The blacks are incredibly deep with its nearly 2.7 Dmax and the colors just pop off the page better than most displays can render the color. I was so thrilled when I saw the results that I wanted to stop everything and start reprinting all of my favorite prints over again on this paper – it’s that good! The flexibility of this paper means it should be a lot more roll paper friendly than Exhibition Fiber or even Legacy Baryta which would be a big plus for pano and super large prints. On a scale of 1 (worse) to 10 (the best I’ve ever seen), I’d give it a 9.5 whereas I’d give the Exhibition Fiber Signature Worthy papers a 9.4. It’s outstanding and extremely pleasing to the eye, but a bit it isn’t quite as rigid as Exhibition Fiber. If you’d like visual instructions, including Advanced Black & White, then be sure to check out the visual tutorial in the Epson Legacy Papers Reviews & Tutorials video which covers both Windows and Mac. I didn’t know what to make of this paper when I first heard about it. I had high hopes that were exceeded for the Baryta, so I wondered why this was even necessary. Now that I’ve used it, I think if I were going to get print via roll paper I’d choose the Platine over the Baryta or Exhibition Fiber as the lighter weight would resist curling much better than its thicker counterparts. What’s more, this is so much richer and darker than Exhibition Fiber, that I don’t see the point in even using EFP anymore. Of the four papers in the new Legacy series, this is the sleeper hit that I think roll users are going to love the most in the long run. 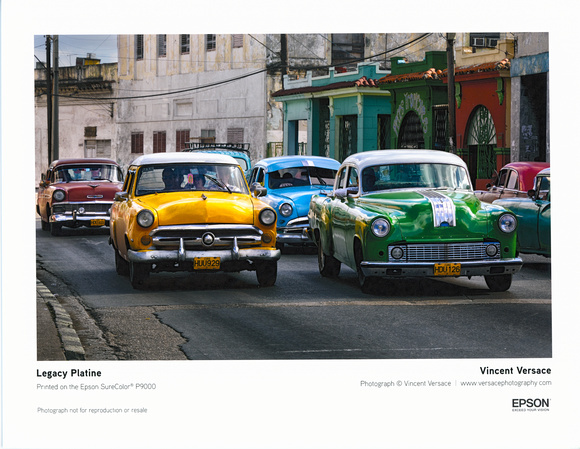 My only gripe is that its pleasing texture is more reflective than Baryta or EFP, so that could be a turn off if a print was placed in a location where side light would make it hard to view the print while hanging on the wall. With that said, it’s less distracting than what you get from Luster, so images with lots of texture (especially abstracts) could actually use this characteristic to an advantage. 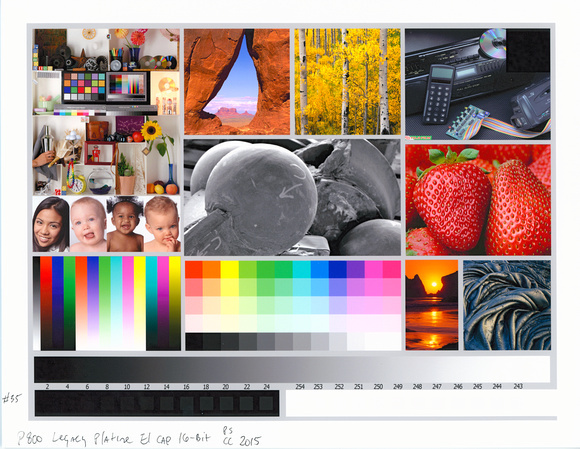 To say that I highly recommend this paper is an understatement – it’s simply incredible, so YES – I HIGHLY, HIGHLY, HIGHLY recommend it for people looking for incredible color and black depth in a paper that isn’t going to curl like heck when you are done printing. Click here to learn more or order at Adorama or order at B&H here. Just want to try it out first? 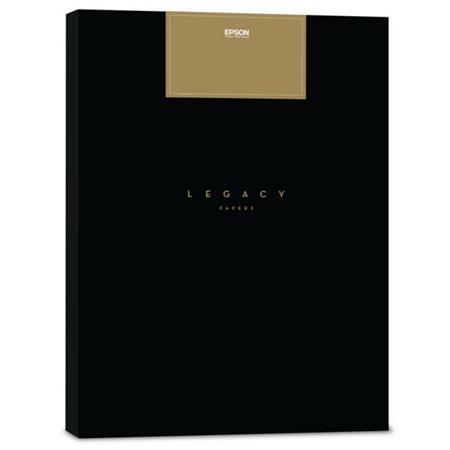 Try picking up the Legacy sample pack (also at Adorama) that I used for testing!